Personal Blog about Games and Stories! – Let's start new adventures with fortnite mania! Personal Blog about Games and Stories! Let's start new adventures with fortnite mania! Fortnite is an online video game first released in 2017 and developed by Epic Games. It is available as separate software packages having different game modes that otherwise share the same general gameplay and game engine. The game modes include Fortnite: Save the World, a cooperative shooter-survival game for up to four players to fight off zombie-likecreatures and defend objects with fortifications they can build, and Fortnite Battle Royale, a free-to-play battle royale game where up to 100 players fight to be the last person standing. Both game modes were released in 2017 as early access titles; Save the World is available only for Windows, macOS, PlayStation 4, and Xbox One, while Battle Royale has been released for those platforms in addition for Nintendo Switch, iOS and Android devices. Fortnite Is IN TRENDING NOW! Near the same time that Epic released Fortnite into early access, PlayerUnknown’s Battlegrounds had become a worldwide phenomenon, having sold over 5 million copies three months from its March 2017 release, and drawing strong interest in the battle royale genre. Epic recognized that with the Fortnite base game, they could also do a battle royale mode, and rapidly developed their own version atop Fortnite in about two months. By September 2017, Epic was ready to release this as a second mode from “Save the World” in the paid-for earlier access, but then later decided to release it as a free game, Fortnite Battle Royale, supported with microtransactions. 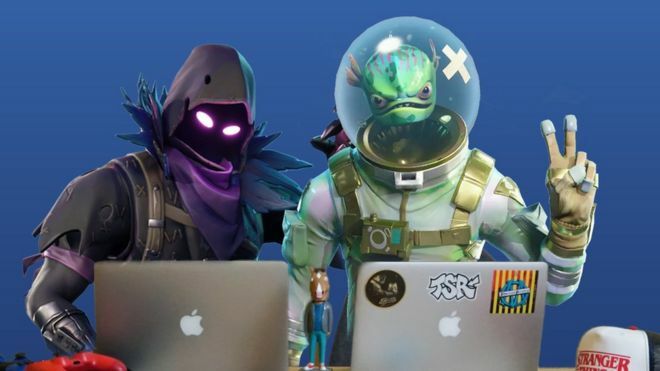 This version quickly gained players, with over 10 million players during its first two weeks of release, and leading Epic to create separate teams to continue the Fortnite Battle Royale development apart from the “Save the World” mode, outside of common engine elements and art assets. This allowed Fortnite Battle Royale to expand to other platforms otherwise not supported by the “Save the World” mode, including iOS and Android mobile devices and the Nintendo Switch.